For thousands of years, people across the globe have pursued the desire to catch fish, whether for food or for sport. While the thought of traditional fly fishing might bring to mind tweed-clad Englishmen, a method called “tenkara” was practiced in the mountains of Japan, with Western and Eastern traditions forming completely independent of each other. Though many forms of sportfishing exist around the world, there is one thing they all have in common—anglers from every country enjoy fly fishing. From freshwater streams to remote lakes to saltwater flats, fly fishing offers an adventurous versatility and a worldwide community that has been developing for centuries. People have been catching fish with artificial flies or lures since the Roman empire, but long cane rods and braided lines weren’t introduced until the 1500s. As fly fishing became more serious and widespread in the British Isles, rod makers began perfecting their cane rods to cast lines, rather than “dapping” flies with short pieces of line. With the British out conquering parts of the world, rod makers also found a superior material in bamboo from India and Southeast Asia, which allowed anglers to cast lines farther and fight larger fish with lighter lines. Aside from bringing in new materials to drive the sport, the Brits brought their favorite species to fish all over the world. In his book, The Trout's Tale: The Fish That Conquered an Empire, Chris Newton describes how the brown trout came to be transplanted in every corner of the globe through expensive and elaborate stocking plans that drove innovation in refrigeration and shipping. Now, fly anglers can find brown trout far outside of their native range in New Zealand, North and South America, and high elevation rivers throughout Asia. Fly fishing in America increased in prominence when the English began settling in New England and finding runs of Atlantic salmon and brook trout streams, not totally unlike the fisheries available in Great Britain. The culture of America’s fly fishing history centered around upstate New York in the Catskills, where locals guided wealthy New Englanders (using new and improved bamboo rods) to fish with updated flies that floated on top of the water. Many refer to this time in the late 1800s as the “Catskill Dry Fly Revolution,” and it shaped fly fishing across the world for a century. As Americans settled the West, it became clear that fly fishing opportunities abounded with cutthroat trout in the Rocky Mountains. On the Pacific Coast, steelhead and their landlocked cousin, the rainbow trout, captured the attention and obsession of anglers who had settled in the boreal forests of Washington, Oregon, and Northern California. As the centuries progressed, strains of rainbow trout were taken from their native range and transplanted across the U.S., and eventually made its way to Europe, Asia, and South America. In the Patagonia region of Argentina and Chile, rainbows did so well that it’s now one of the best places in the world to fish for them, despite having no native population before European contact. 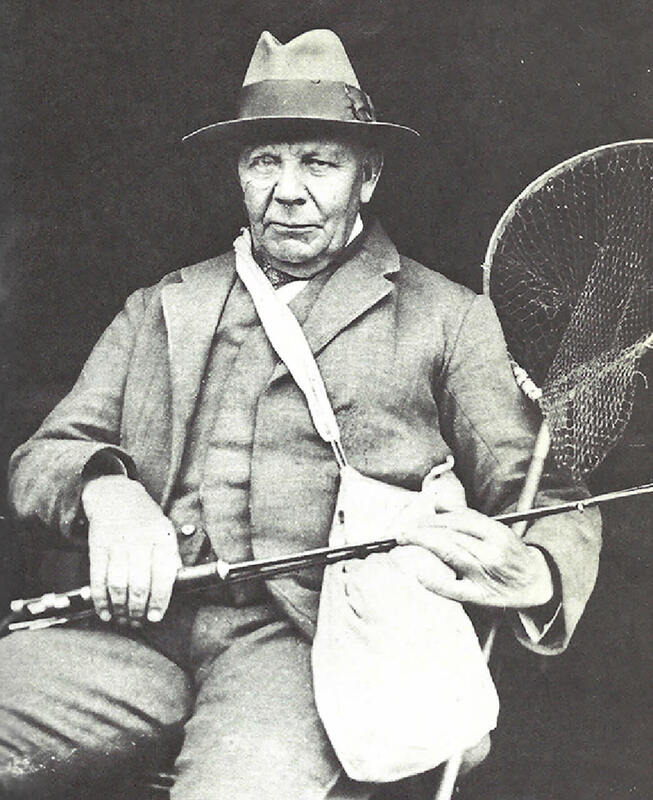 Fly fishing continued to have a dedicated following of sportsmen throughout the 20th century. High-profile anglers like Ernest Hemingway, multiple presidents (most notably Herbert Hoover and Dwight D. Eisenhower), and casting celebrity Joan Wulff kept public interest alive, but the number of fly fishers began to decline as tackle for delivering smaller lures improved, and many didn’t feel the need to pursue fish with a fly rod. That trend continued until 1992, when Norman Maclean’s novel A River Runs Through It was adapted to film. Set in scenic Western Montana, the movie sparked a national interest in fly fishing, and innovations in technology for rod design, fly lines, and non-traditional fly patterns brought the sport into the 21st century as the number of anglers grew. Fly fishing has stayed a staple of the American outdoor lifestyle, with entire communities building their economy around destination fly fishing. During the past decade, the rise of social media began producing charismatic personalities that made fishing more popular in more places, creating tight-knit and prolific communities around fisheries in the Northeast, Southeast, and Midwest. The rise in social media also provided a space for women anglers to connect and grow together. Even though one of America’s most famous fishing personalities, Joan Wulff, was developing new flies and engineering the modern mechanics of fly casting from the 1950s onward, women anglers had little community, and most river and fly fishing clubs were exclusively male. 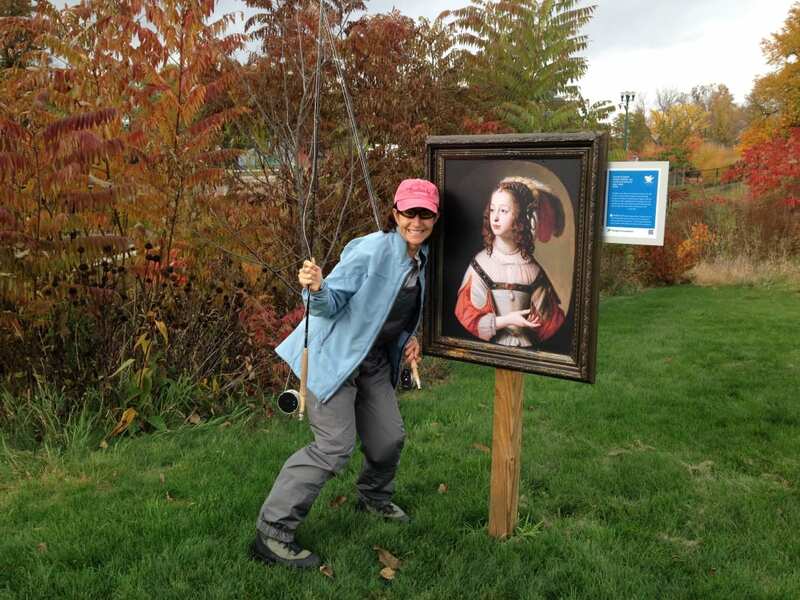 Though it isn’t 50/50 yet, the balance of anglers is approaching an even ratio, and adventurous women from other active outdoor sports are being drawn to the fly fishing lifestyle. Instagram, in particular, has been instrumental in this phenomena and has grown the sport for all demographics. Anglers like April Vokey, Maddie Brenneman, Jillian Lukiwski, and many others fill angler’s feeds with big fish, good practices, and enviable adventures. With more people coming to fly fishing from different backgrounds and different parts of the country, the species of fish pursued with a fly rod continues to increase. Now, anglers travel the world to Dubai’s salt flats, Amazonian rainforests, the high mountains of Mongolia, and other exotic places to fish for every species imaginable with a fly. As fly fishing becomes more popular and widespread, we are all excited to see where the future is taking us, and the conservation achievements we’ll have as a community with our growing voice. Though we continue to see more innovations in gear and technology, the traditional and fundamental joy of fishing with flies will attract newcomers for generations to come. Written by Charlie Morgan for RootsRated in partnership with The Painted Trout.